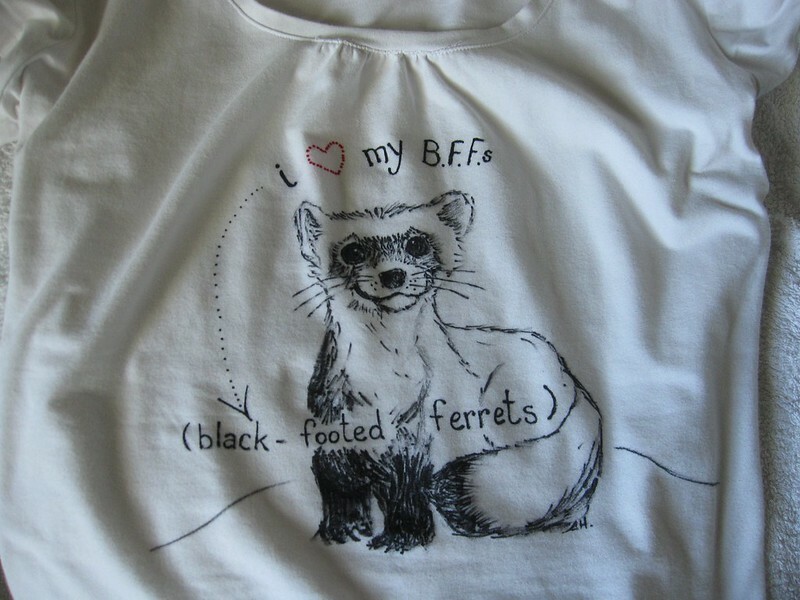 happy black-footed ferret day! | i made it so. what, don’t you have it marked on your calendars? i first heard about black-footed ferrets when my daughter started saving money to adopt one through the world wildlife fund. since then, she has learned all about them (hence, so have we) and a poster of these ferrets greets me each time i enter her room. so when i heard that the toronto zoo was having its second annual black-footed ferret day today, of course we had to go. place something thick and sturdy inside the t-shirt so that you can draw on a solid surface; this also keeps the marker from bleeding through to the back of the t-shirt. i used an old binder. after you’re done, throw the t-shirt into a dryer, on high for about 20 minutes. this helps set the marker further into the fabric, even though it is permanent marker to begin with. you can learn more about the black-footed ferrets, how they were considered extinct, and the conservation efforts through world wildlife fund and zoos like ours. 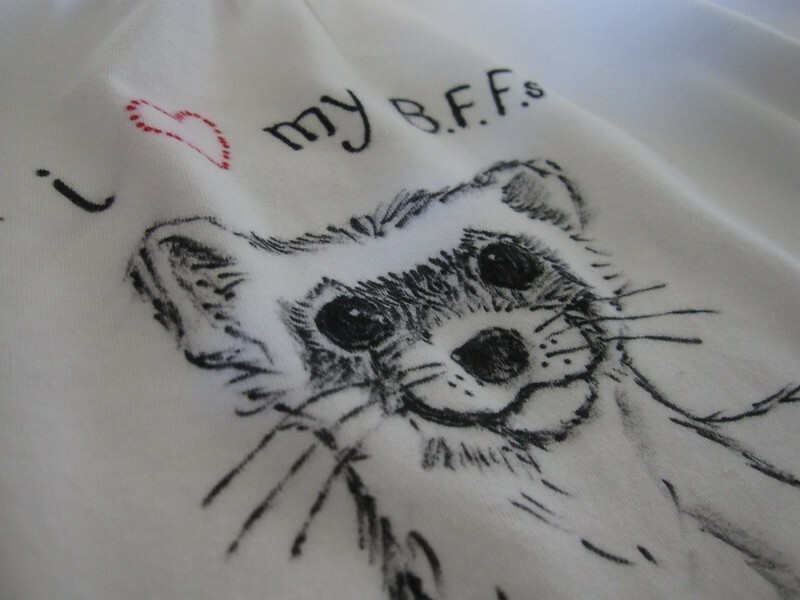 This entry was posted in my doodles & drawings, sewing & fabric arts, weekend in a nutshell and tagged black footed ferrets, black footed ferrets are my bffs, black footed ferrets at toronto zoo, black footed ferrets original tshirts, toronto zoo black footed ferrets, world wildlife fund black footed ferrets. Bookmark the permalink. 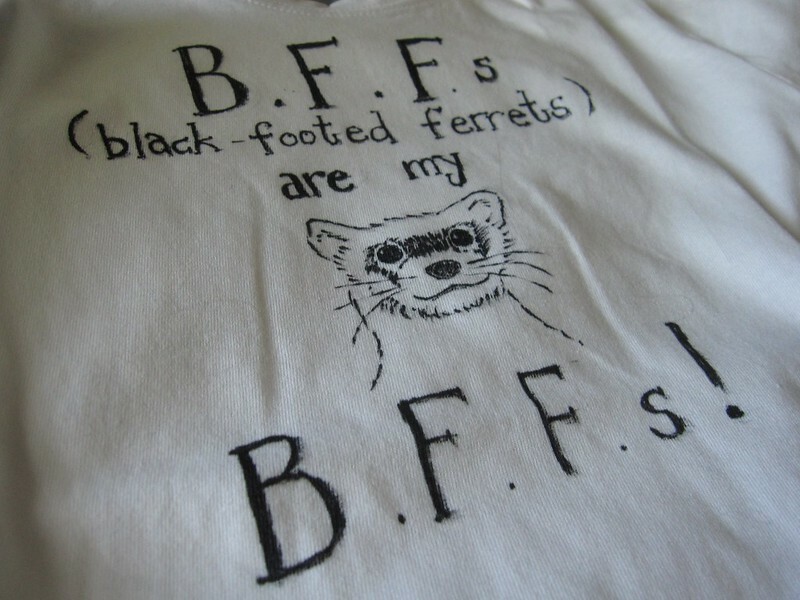 13 Responses to happy black-footed ferret day! 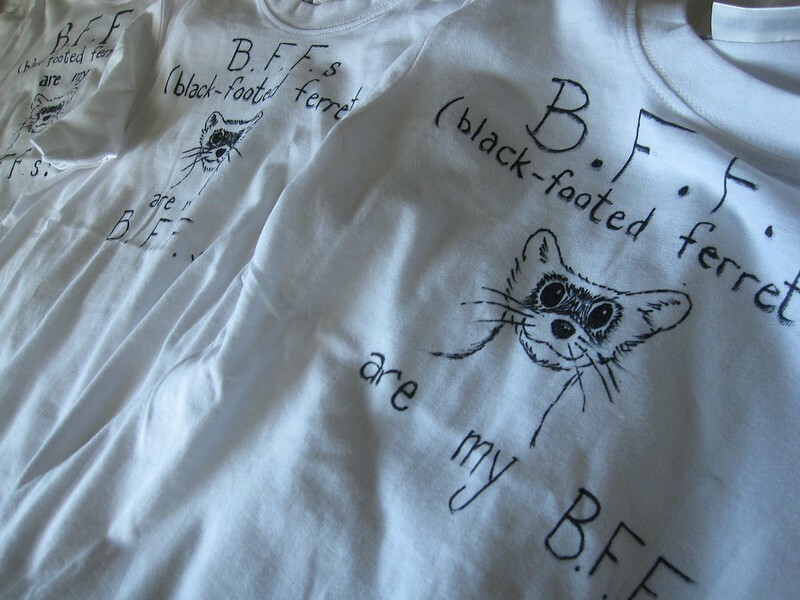 I used a sharpie on our Cow Appreciation T-shirts and they did not turn out as well as your Ferret Shirts! They look awesome, Ana! can you imagine if someone walked by us at a party during the middle of your first sentence? made me laugh. thanks jess! coming soon, to a zoo near you? 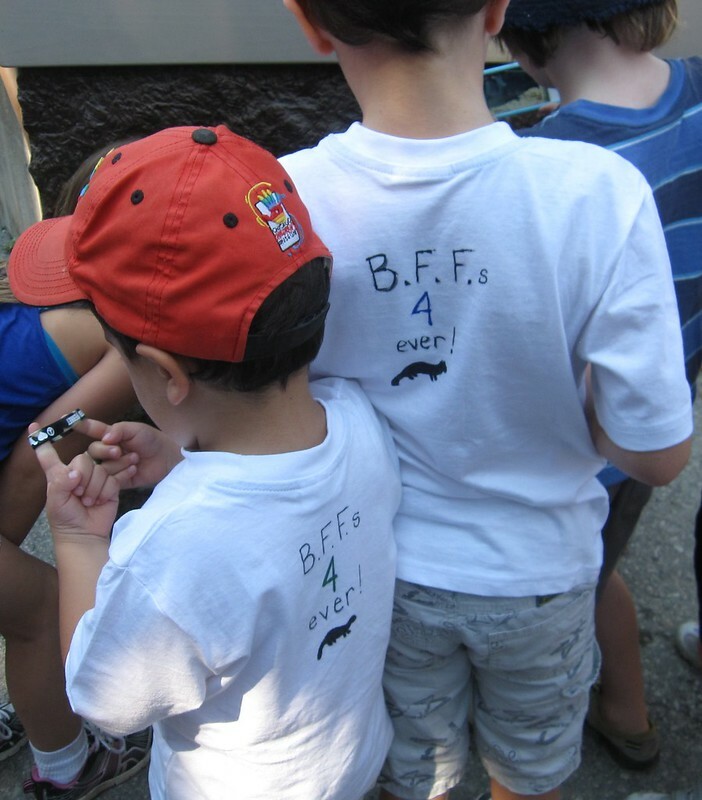 Such cute t-shirts! Love the idea! Great idea and picture, Ana! So cool that you get to be a part of that! i’m looking forward to making something for the fundraiser, not yet sure what though! Wow – Amazing, love it so much! golly jeepers those tees are wonderful!!! happy friday to you as well. thanks patty! Pingback: 2012 in a nutshell | i made it so.